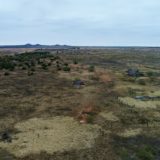 The Stermer Ranch is a unique land holding in Hardeman County, Texas. 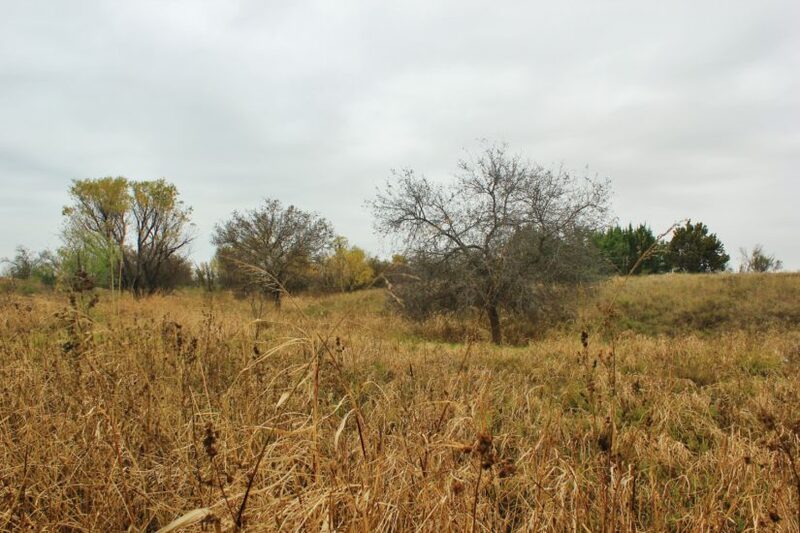 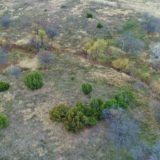 This 329.5 +/- acre property is located south of the Medicine Mound community, less than three miles from the Pease River. 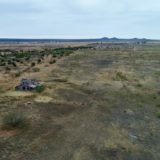 The property has been owned by the same family for 110 years, and this is the first time it has ever been offered on the market! 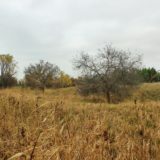 The original acreage on the north side was purchased from J.F. 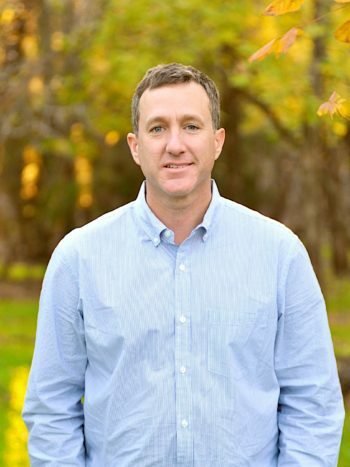 Baker in 1907. 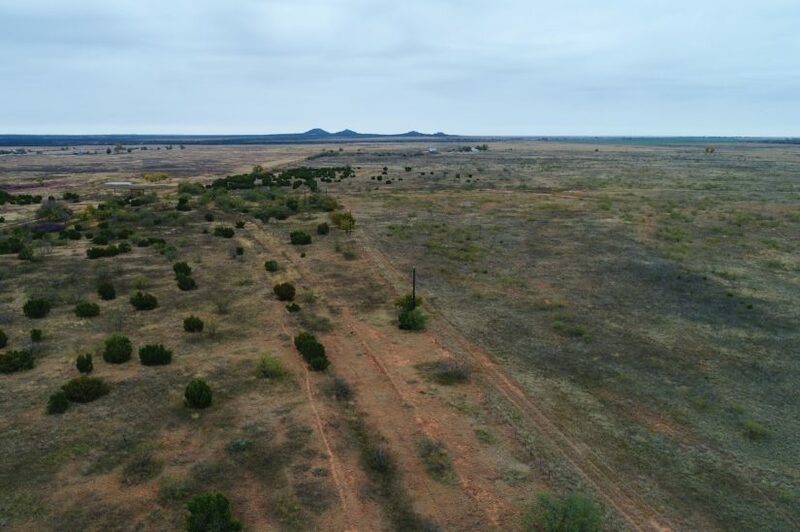 Baker was one of the first people to purchase land in Hardeman County from the state of Texas, after the Native Americans were removed from the area in the late 1800s. 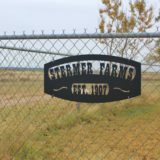 The Stermer place is surrounded by historical landmarks in the area: the historic ghost town of Medicine Mound (located by the four Medicine Mounds themselves) to the north, the Old Mound Cemetery to the east, and the Pease River Battleground, where Cynthia Ann Parker was recaptured from the Comanches in 1860, just across the river to the southeast. 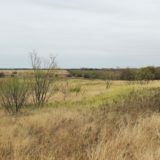 On old wagon trail, going from Medicine Mound to Margaret across the river, used to run on the west side of the ranch. 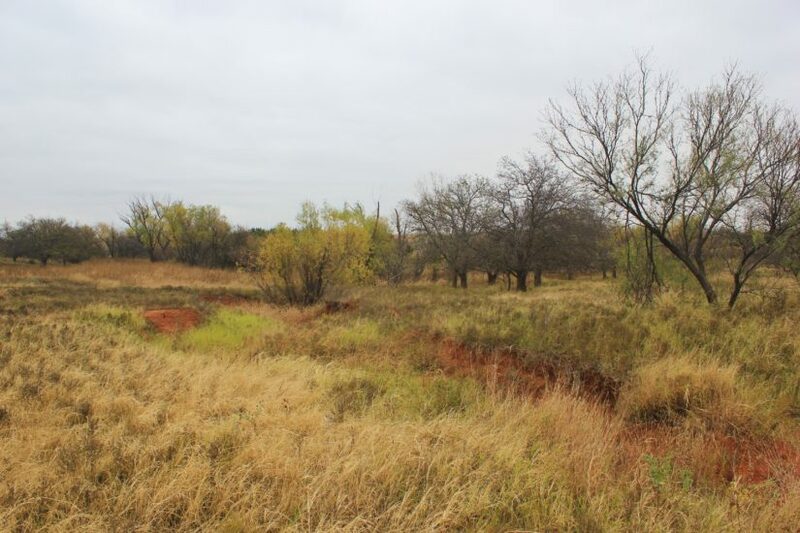 Family lore says there was an old buffalo wallow in the northwest corner too. 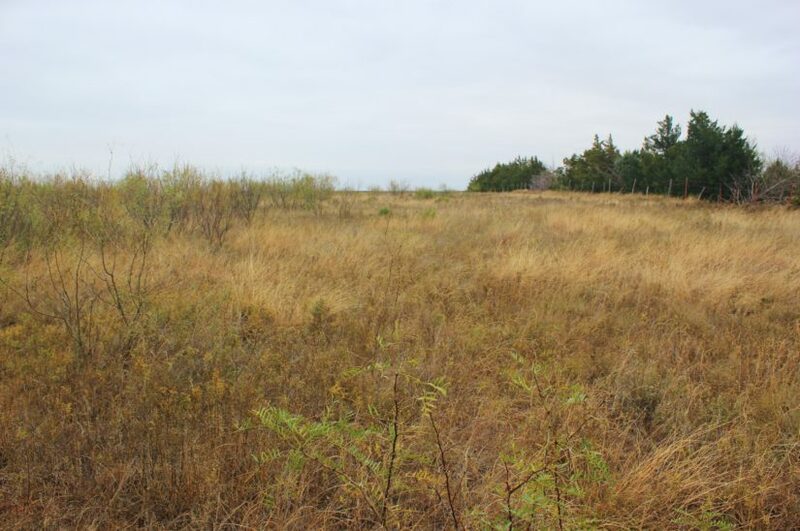 The original homestead is still located on the property near the middle of the ranch, although it is not in livable condition now. 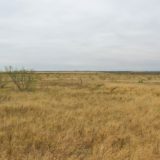 The land is mostly flat, with a slight slope to the south and on either side to the east and west. 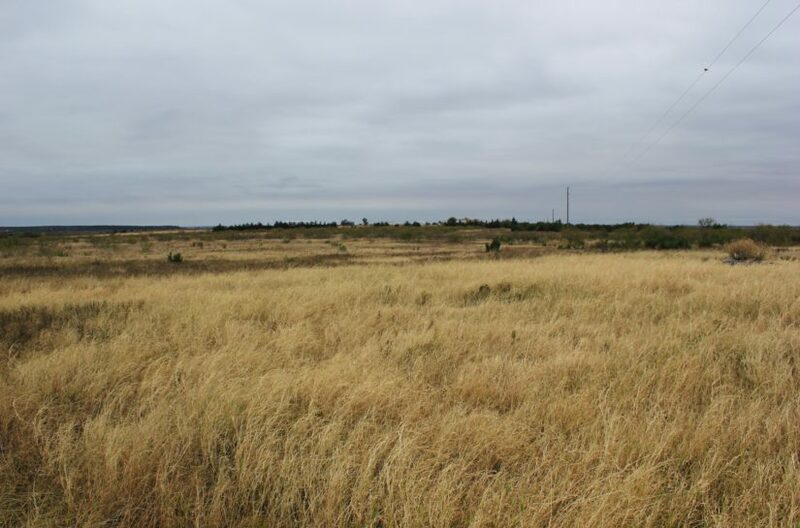 It’s now mostly in open grass land, but years ago 245 acres was cultivated to farm wheat. 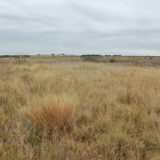 The native grasses include buffalo, common bermuda, bluestem, switch, love and rye. 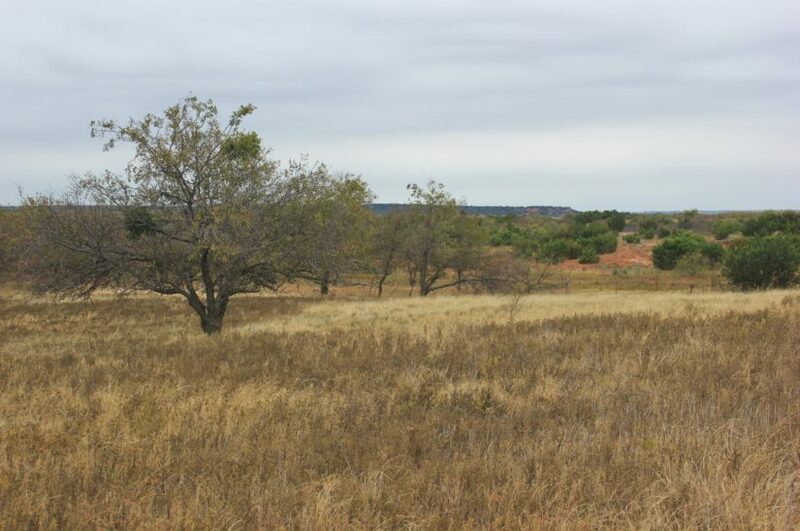 The east and west sides have some native pasture land with trees, including hackberry, cedar, and willow. 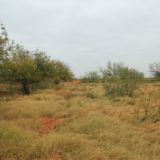 The old farm land has a lot of re-emerging mesquites coming up in it, ranging from 2 to 6 ft tall. 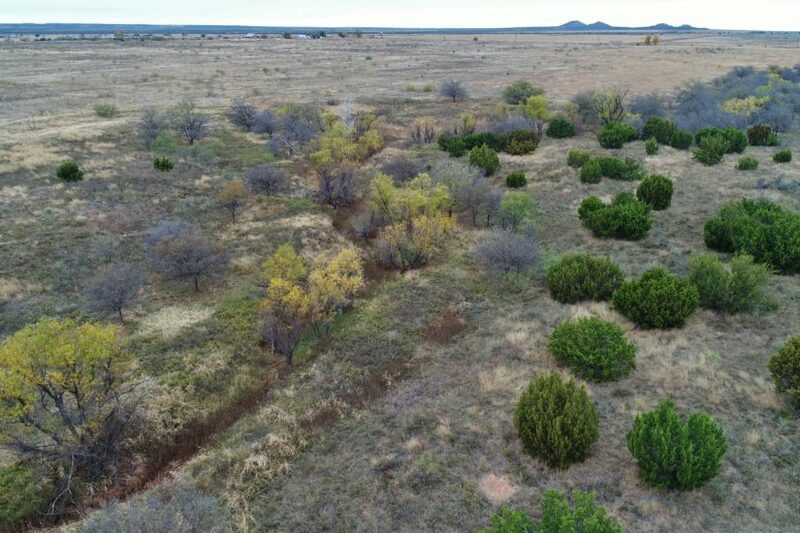 This ranch is in prime condition to mold for the future. 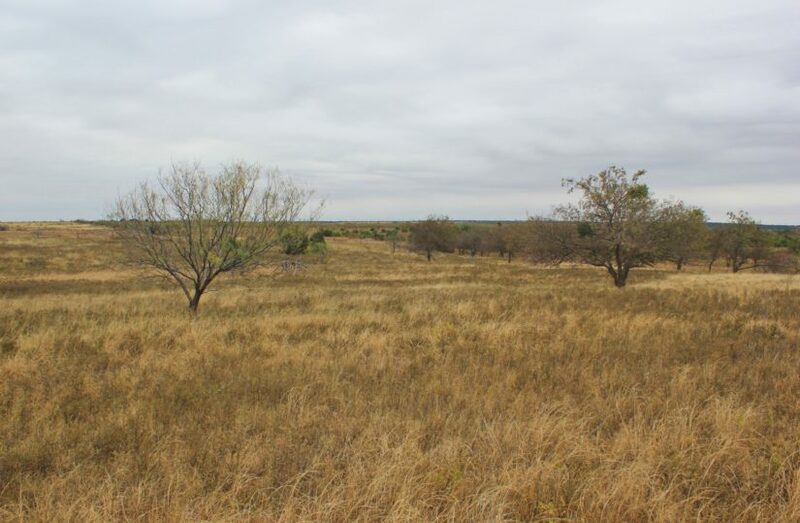 The south half, where there are more trees and brush, would be perfect to let go back to a completely native state for hunting purposes. 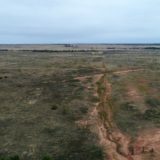 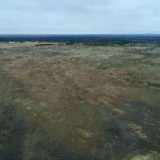 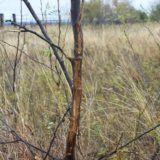 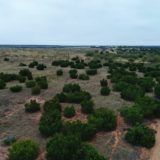 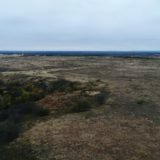 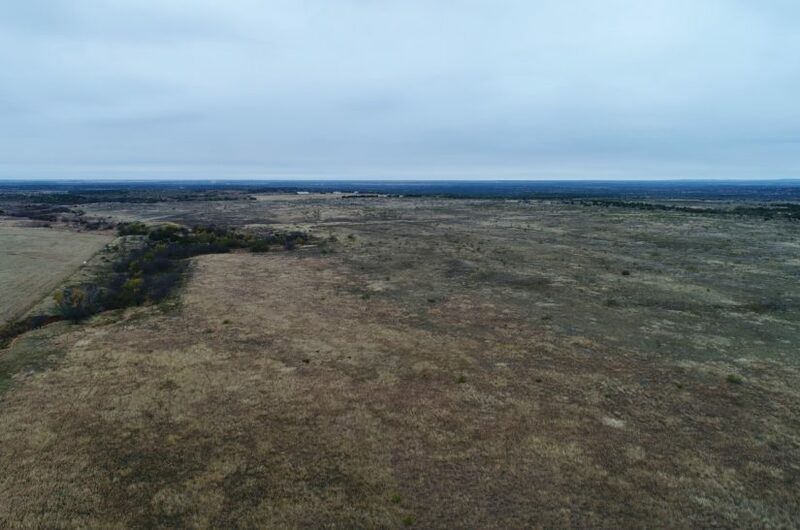 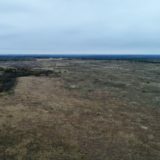 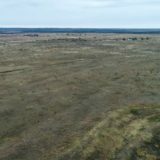 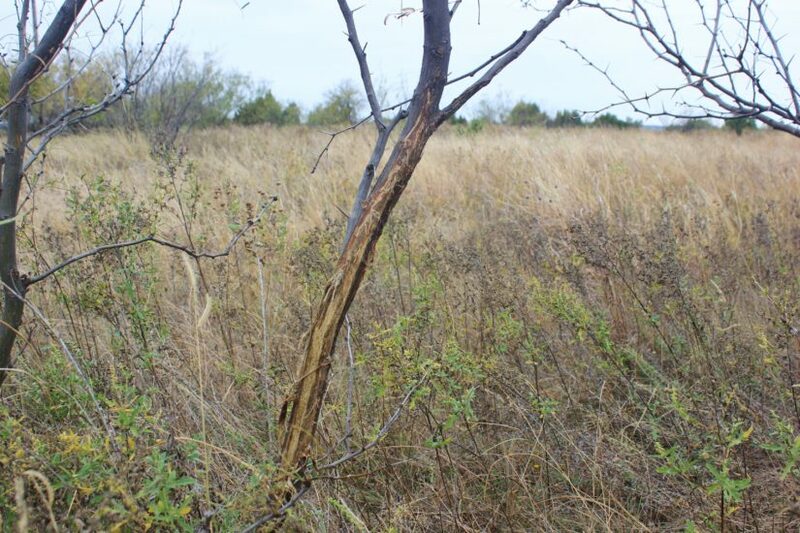 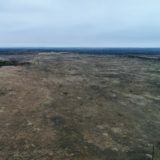 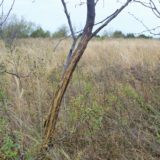 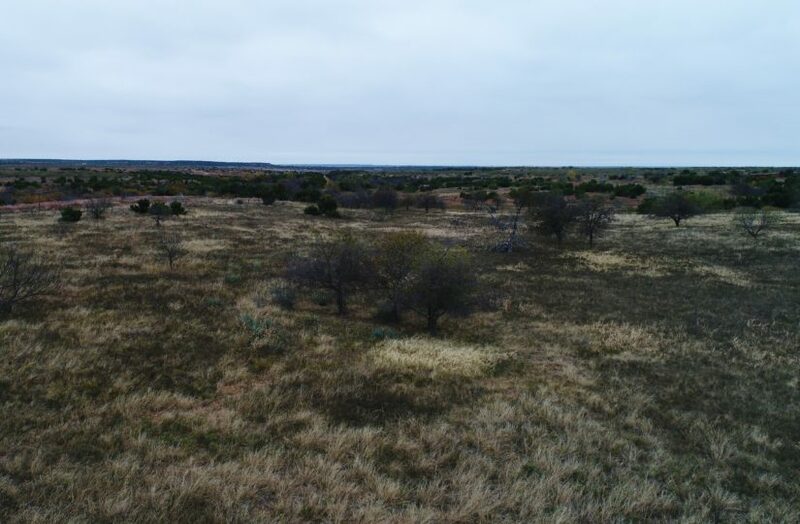 It joins a 15,000 acre ranch on its south and west sides on this end and has some really nice whitetail deer hunting, as well as for feral hog and predators. 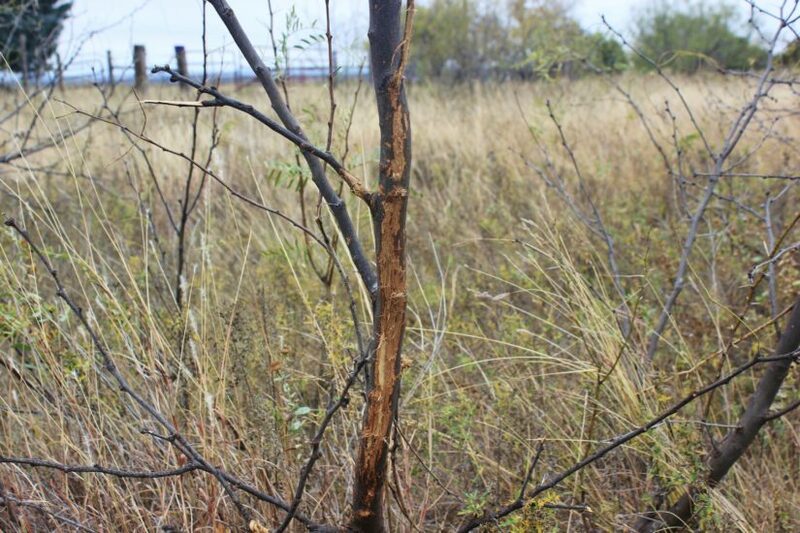 Trophy bucks, grossing in the B & C 180s, have been taken out of the native country just down the road from the Stermer Ranch. 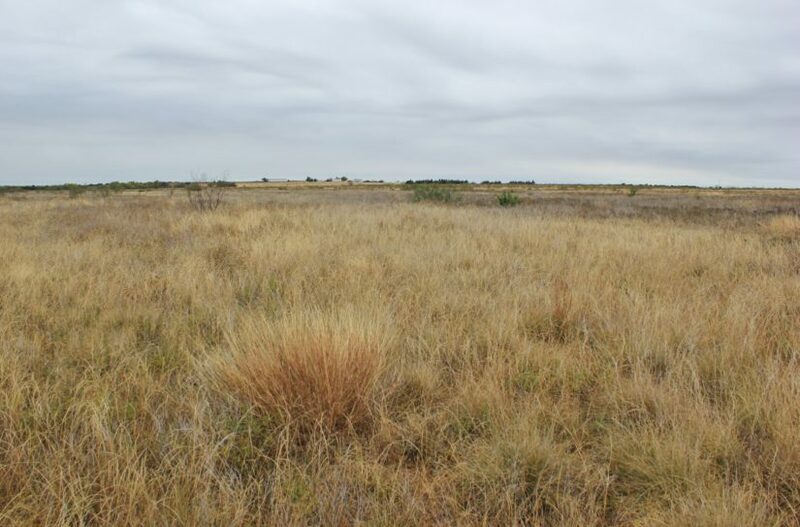 The land lays right on the edge of the Pease River breaks and benefits tremendously from its geographical location. 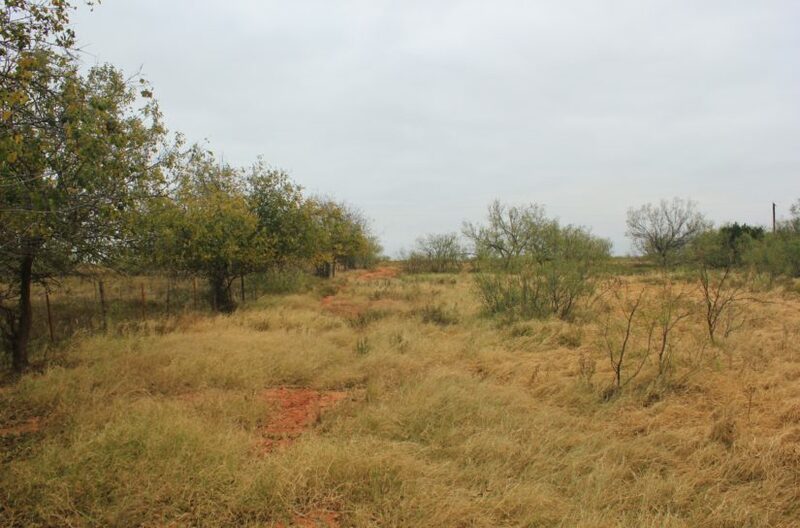 Quail can be hunted anywhere on the place, as this is prime bobwhite habitat. 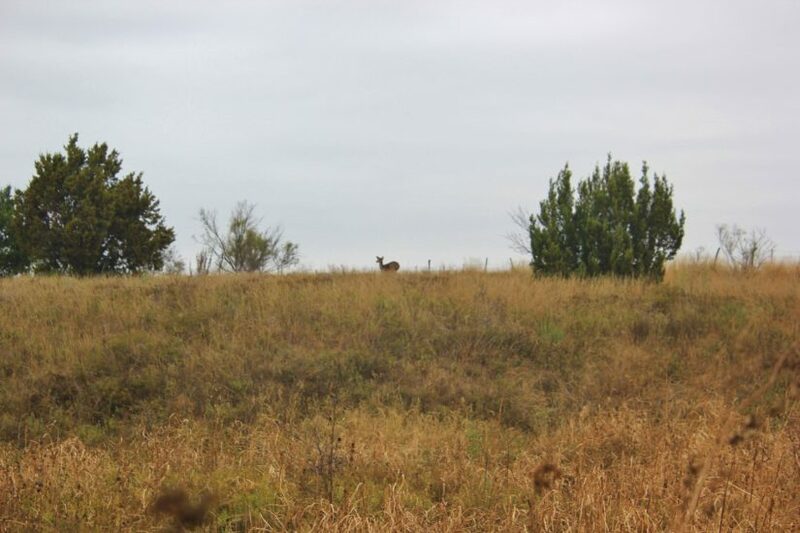 You may even see a turkey or two, roosting in the creek bottom. 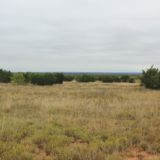 The ranch has NEVER been hunted and is prime for game development. 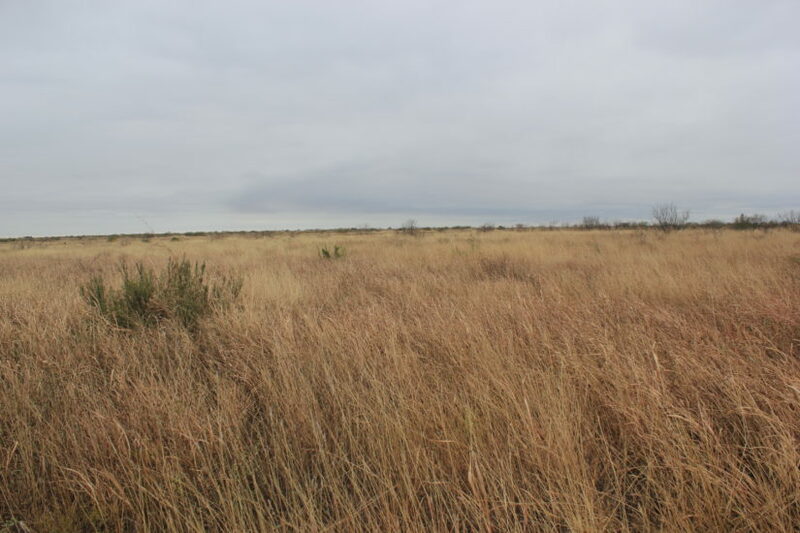 The north half could then be kept clear for grazing cattle or other livestock. 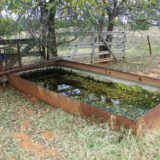 While there are no existing water tanks or ponds, there are several places where tanks could be built. 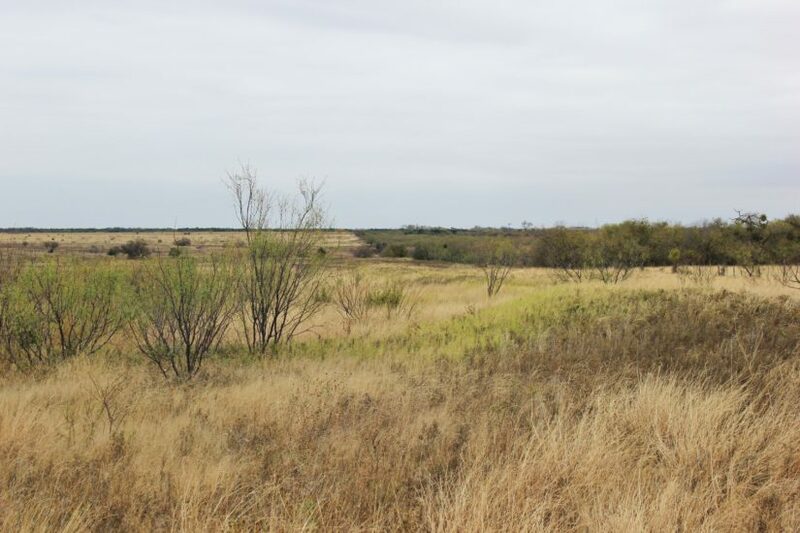 Specifically, a creek wash along the east boundary would be perfect for diverting water into a dirt tank for cattle. 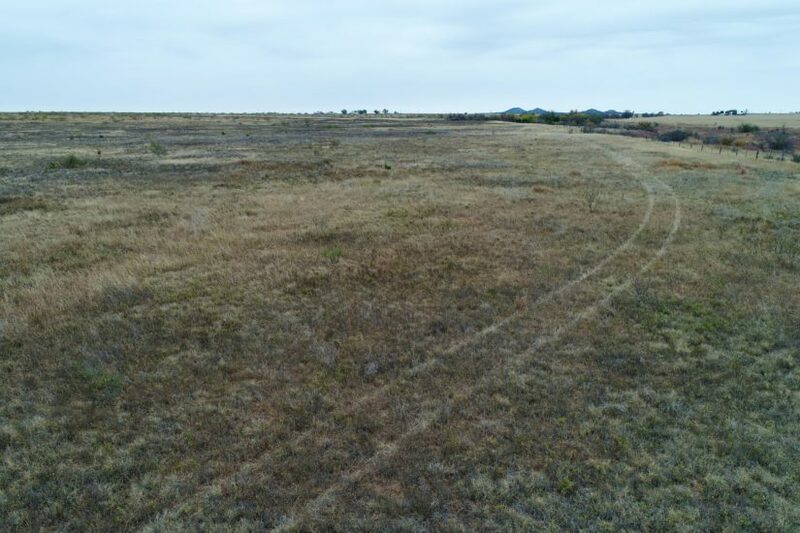 Metered water is available on the road too, and the ranch already has a tap and frost free hydrant in place on the west side. 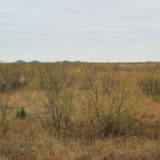 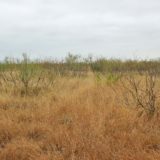 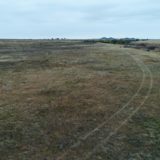 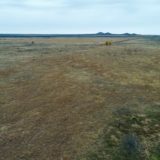 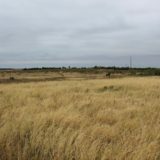 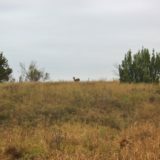 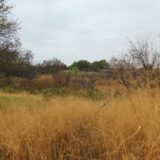 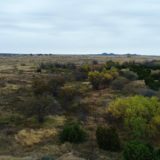 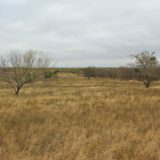 The whole ranch has been used for years to seasonally graze around 20 pairs in the growing season, then left fallow throughout the winter months. 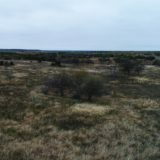 Year around, the ranch can carry around 10-12 cows. 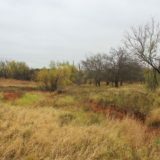 The property already has electricity and city water in place. 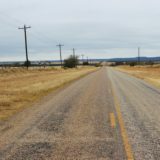 A high speed internet line runs down the county road on the west side too, if you wanted to tap into it. 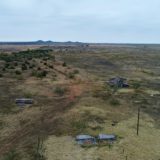 A great building site is near the middle of the ranch, where electricity is in place. 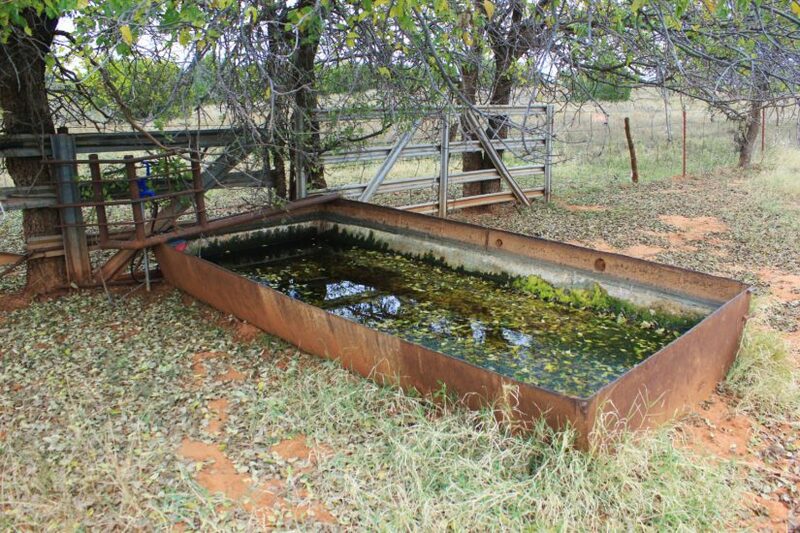 A water well is at this site too, and city water not very far. 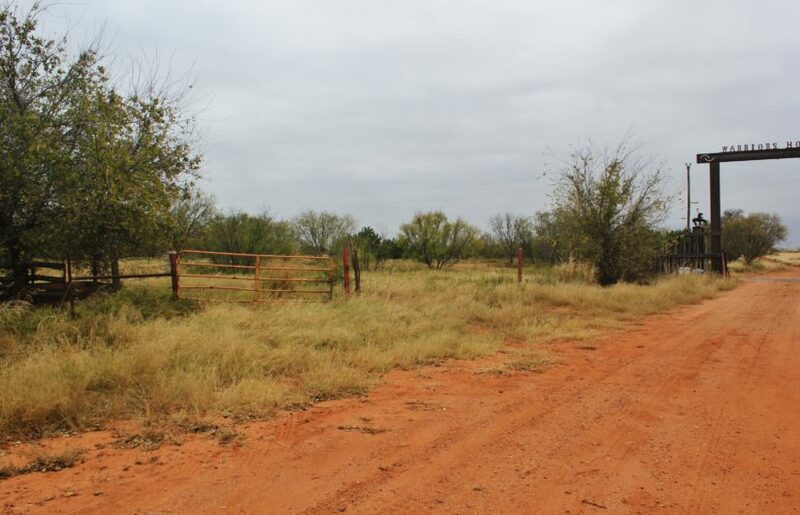 The county road entrance going to this location is very private, just before the road dead ends at the neighboring ranch’s entrance. 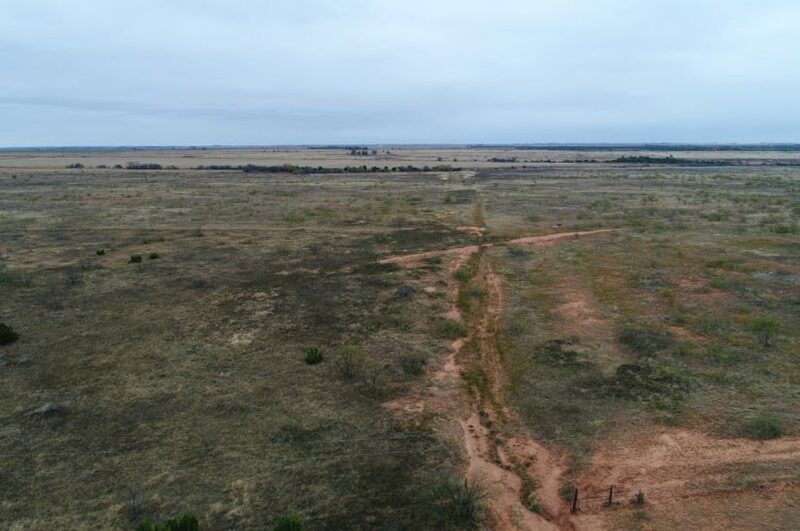 Other improvements include perimeter fencing, and a couple of cattle traps. 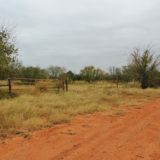 Most of the fences are in good shape; the stretch along the road on the north end is the oldest and could use replacing. 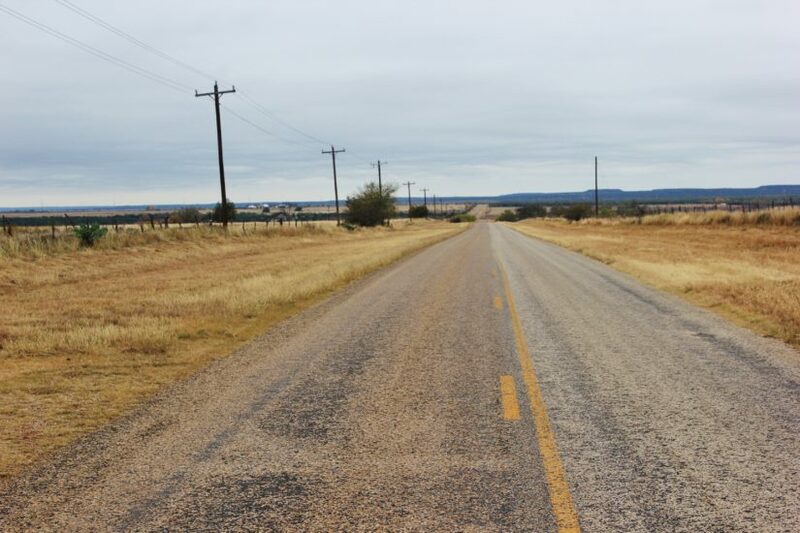 Farm-to-Market Road 3295 on this side is paved and allows for easy, year around access. 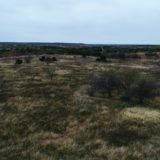 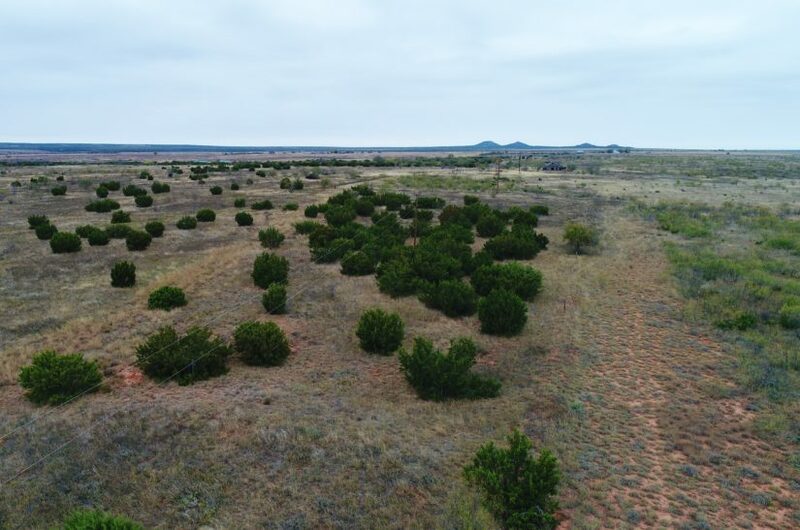 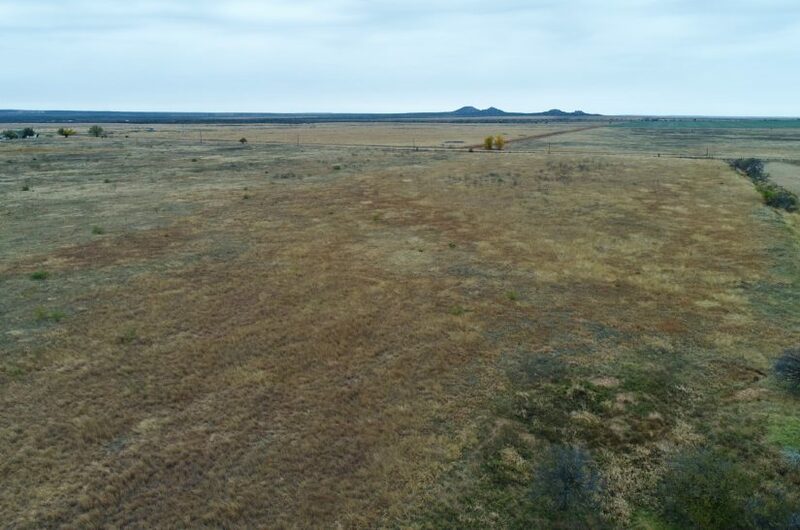 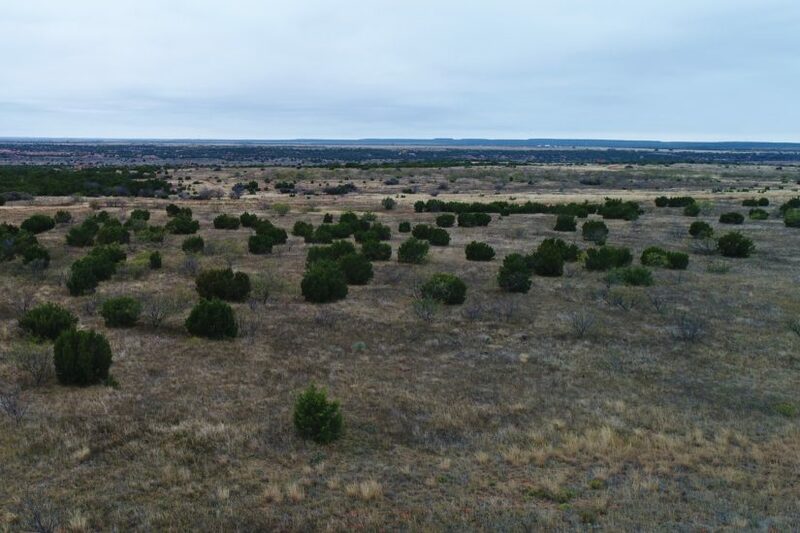 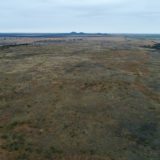 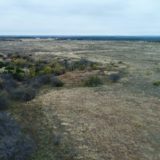 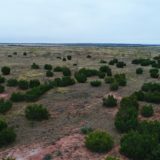 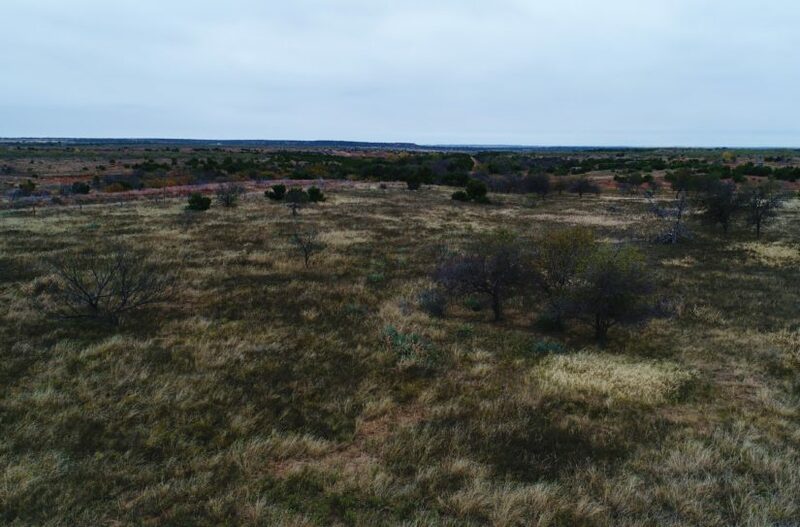 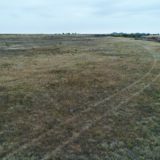 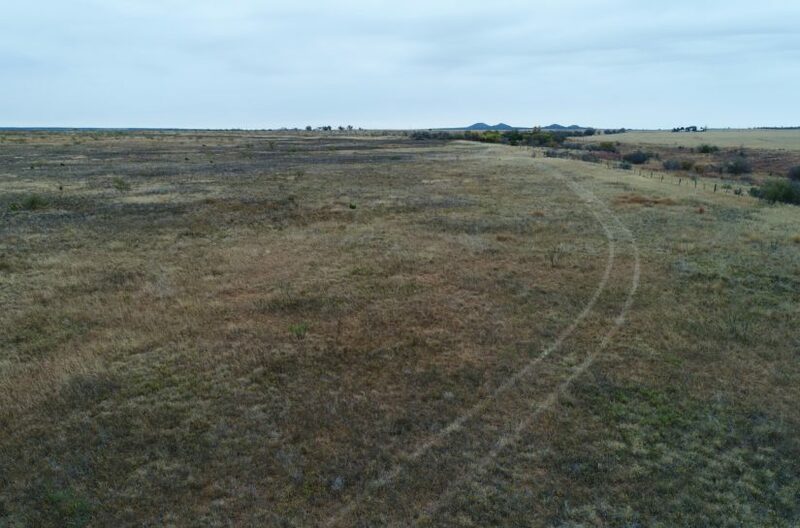 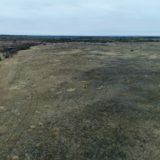 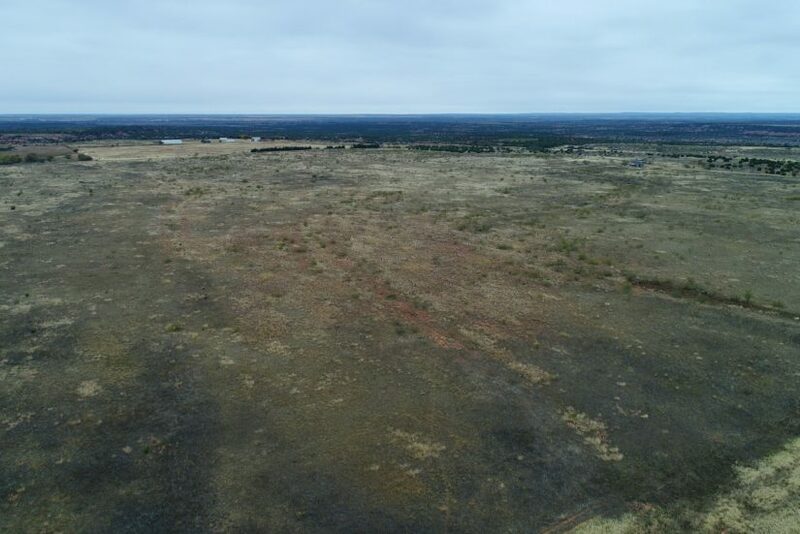 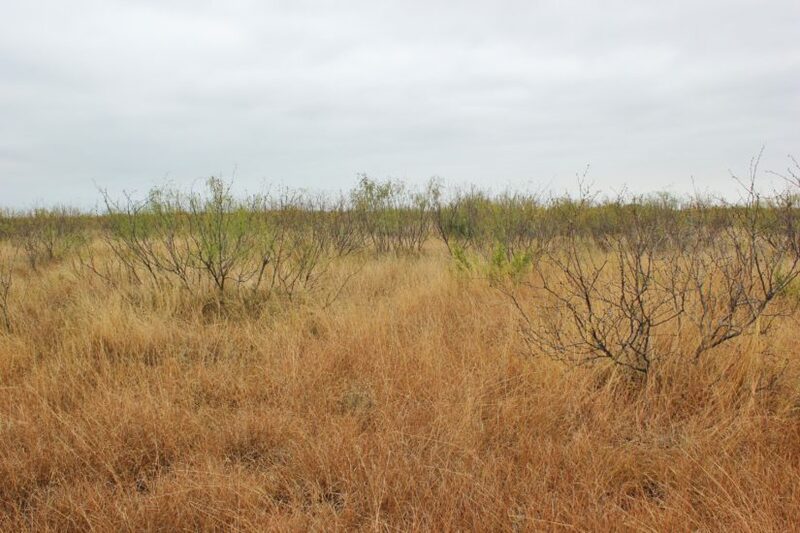 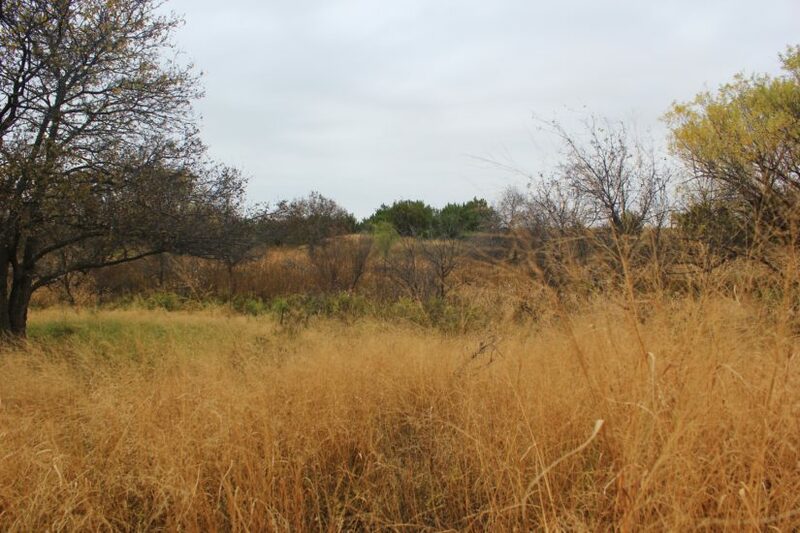 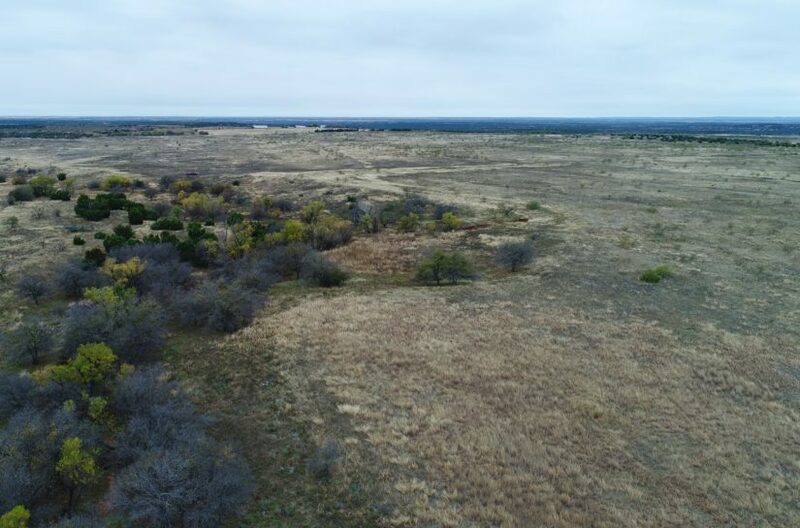 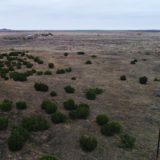 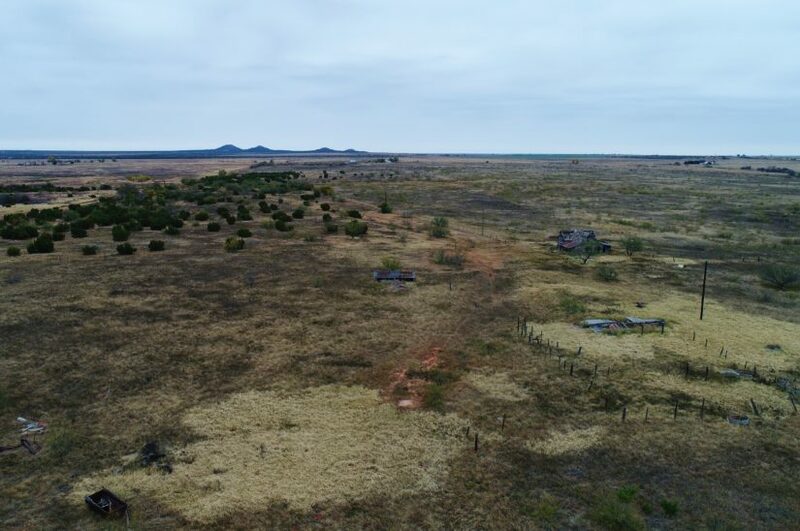 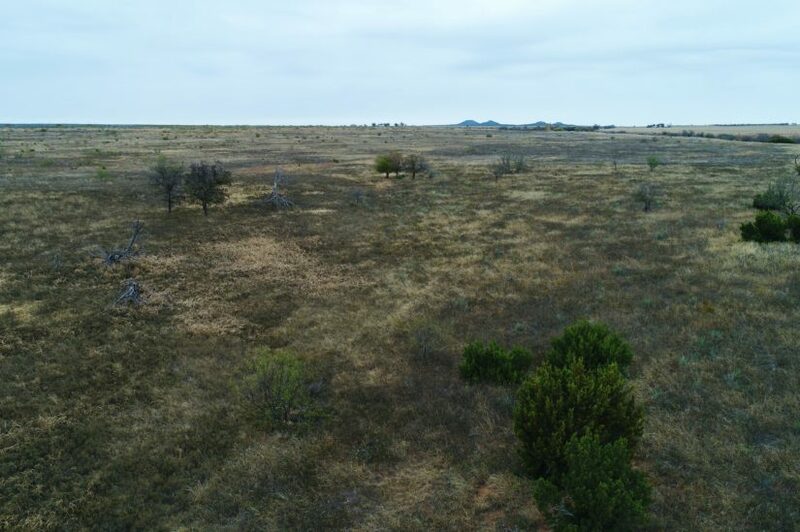 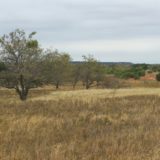 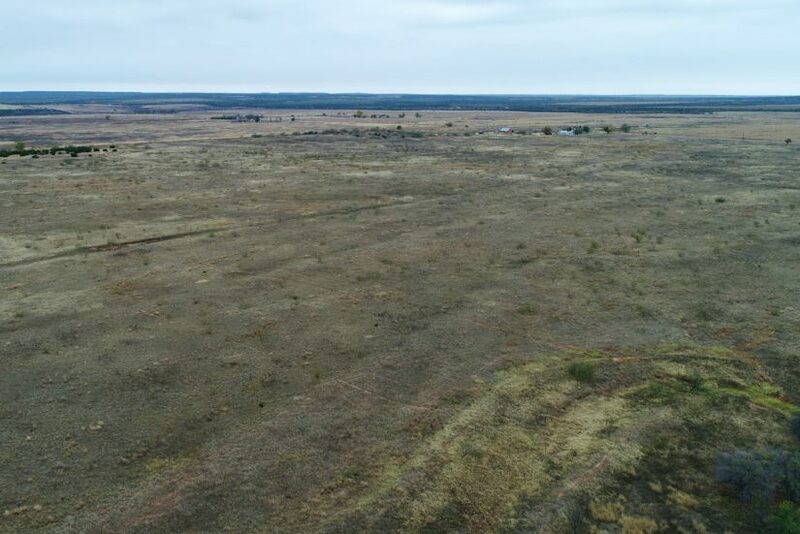 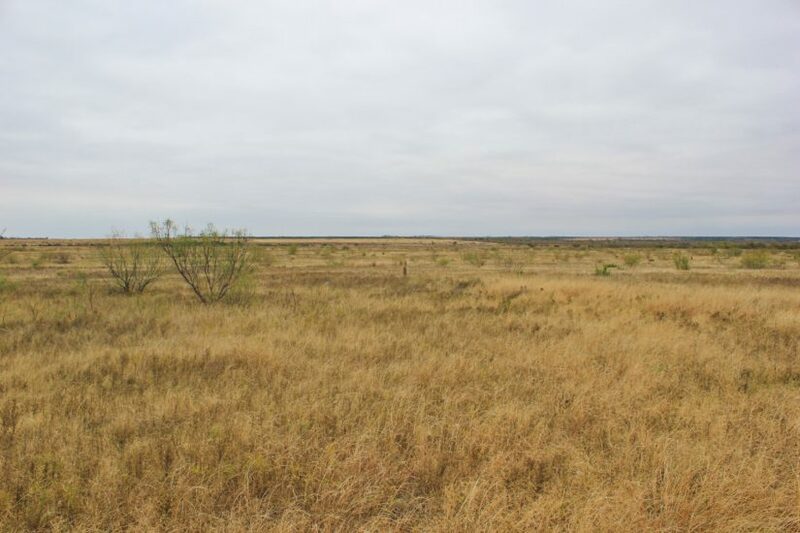 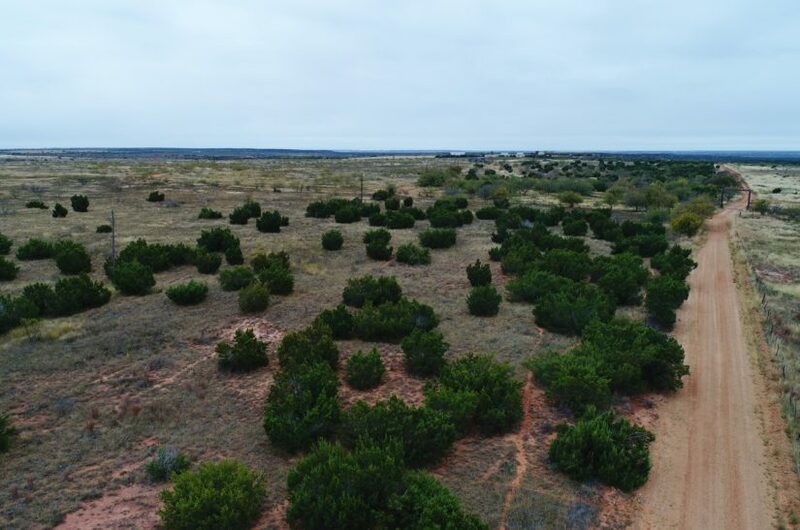 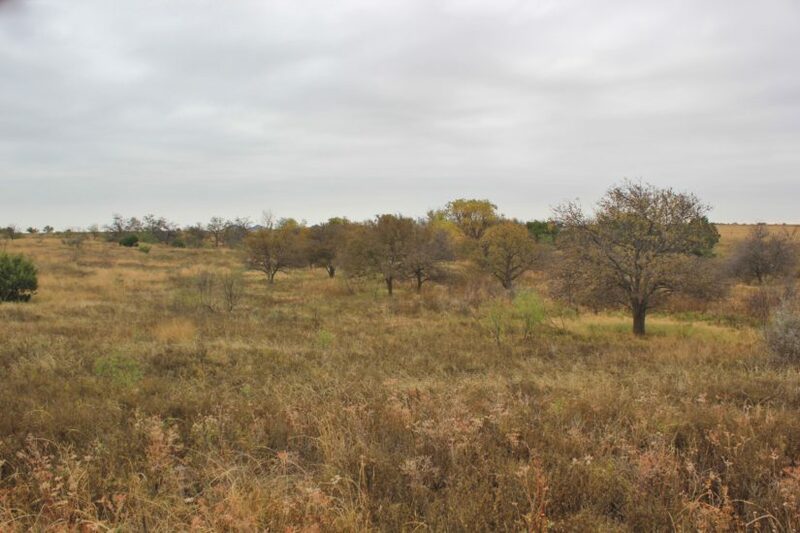 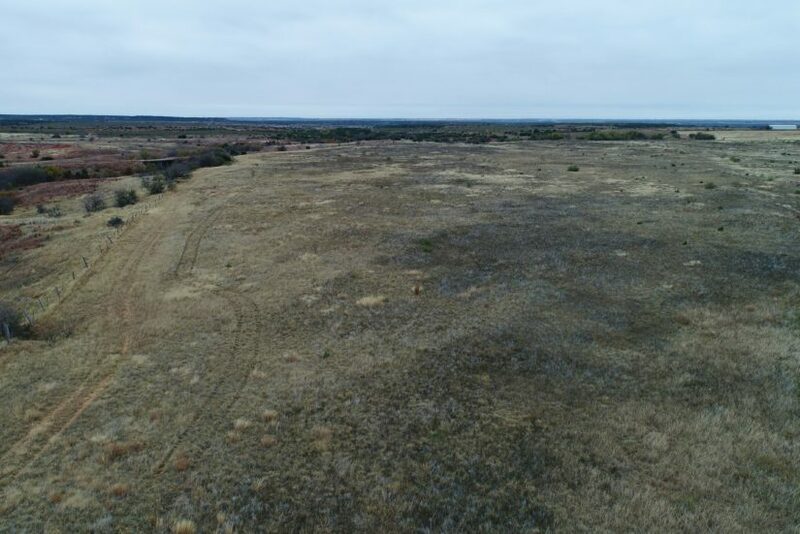 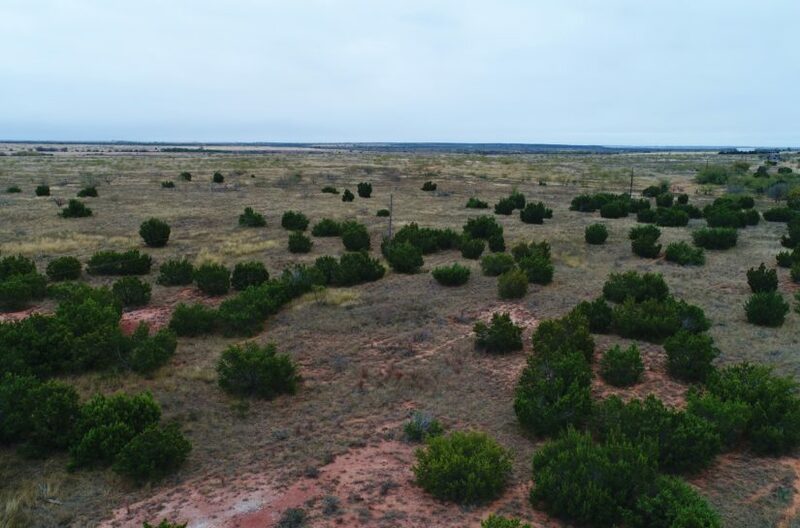 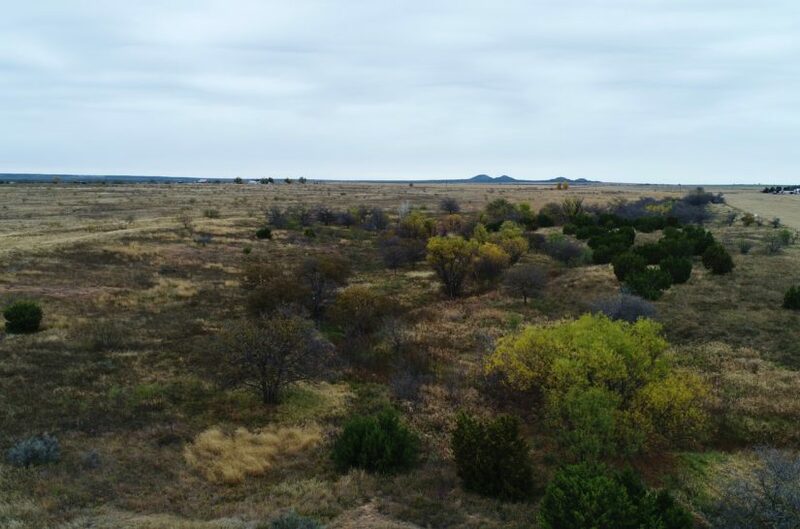 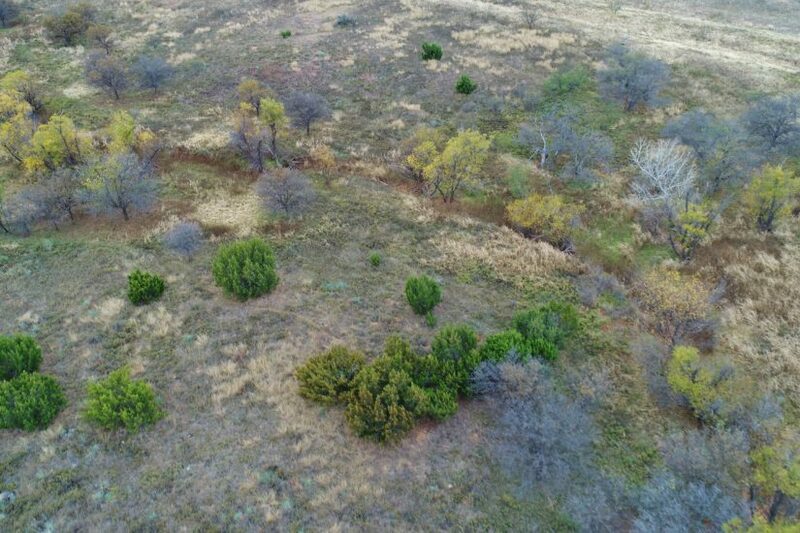 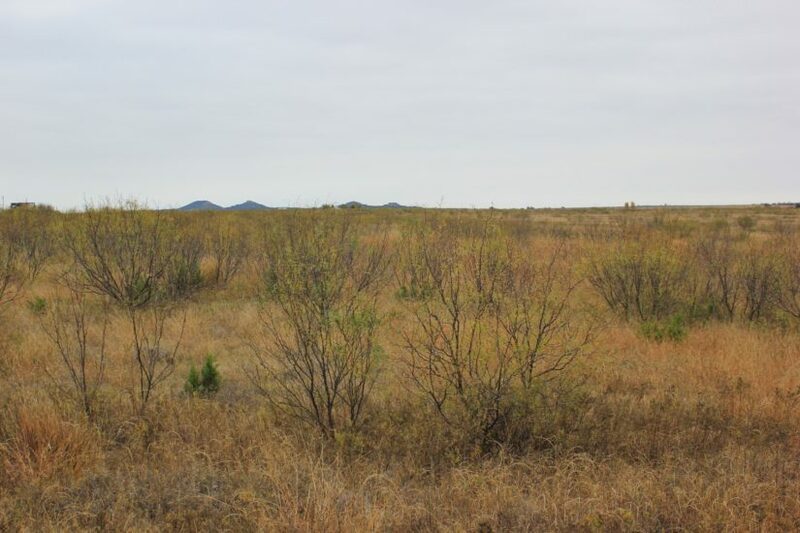 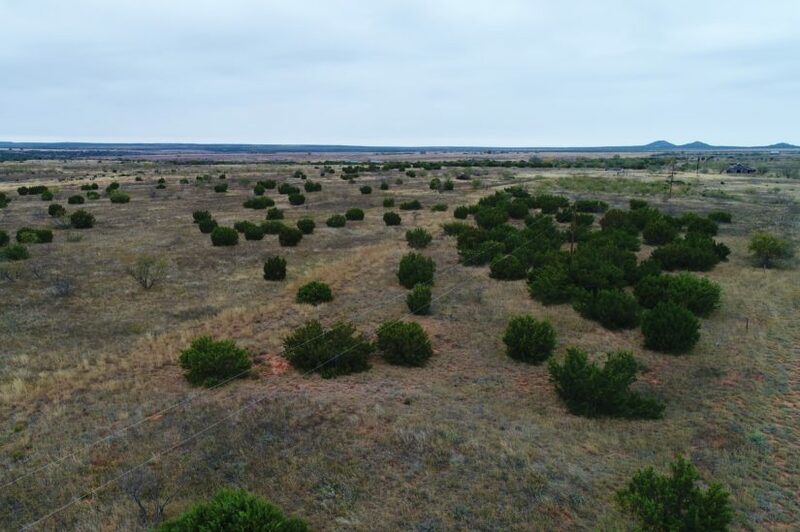 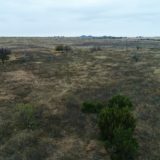 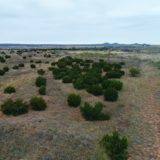 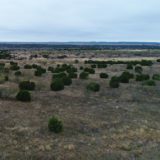 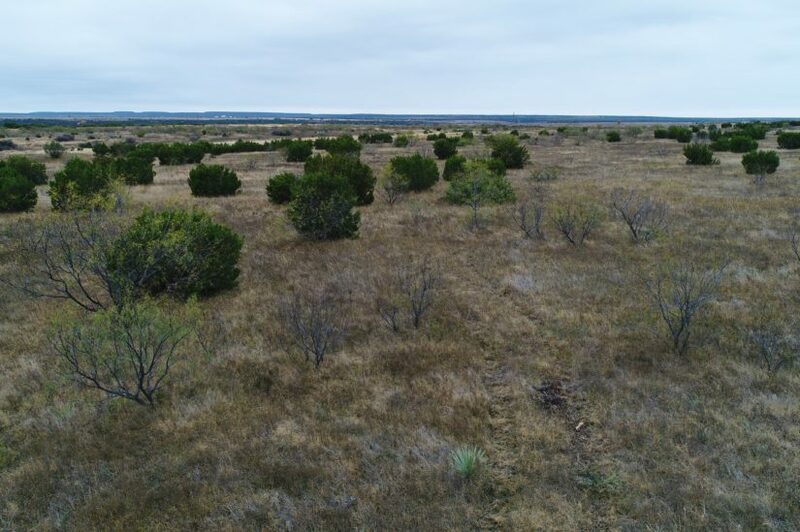 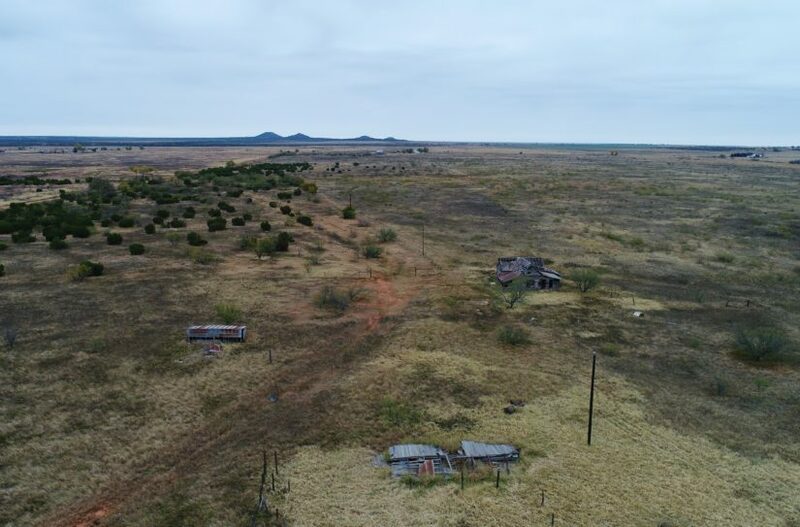 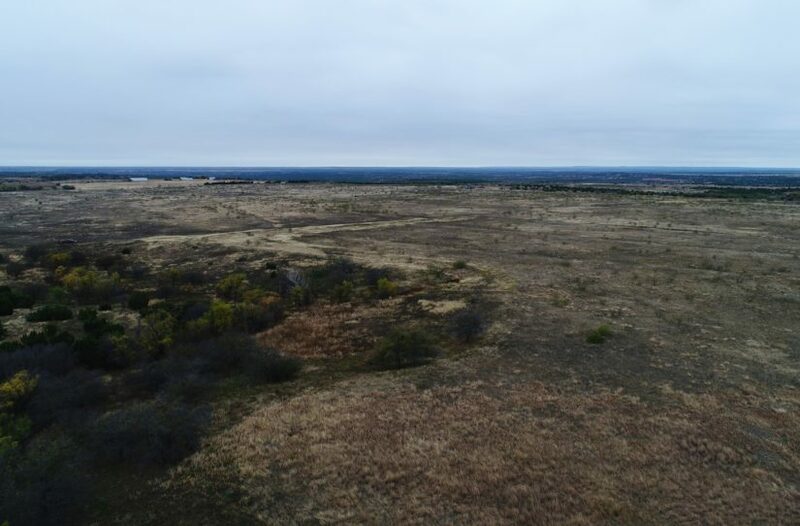 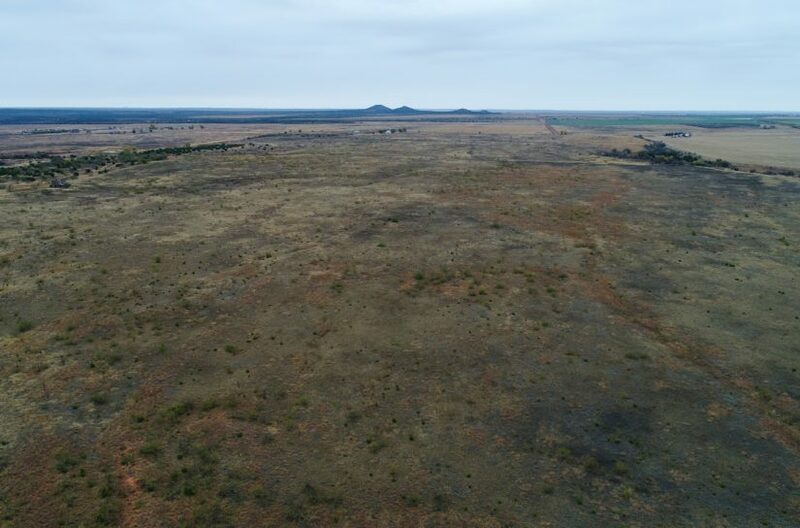 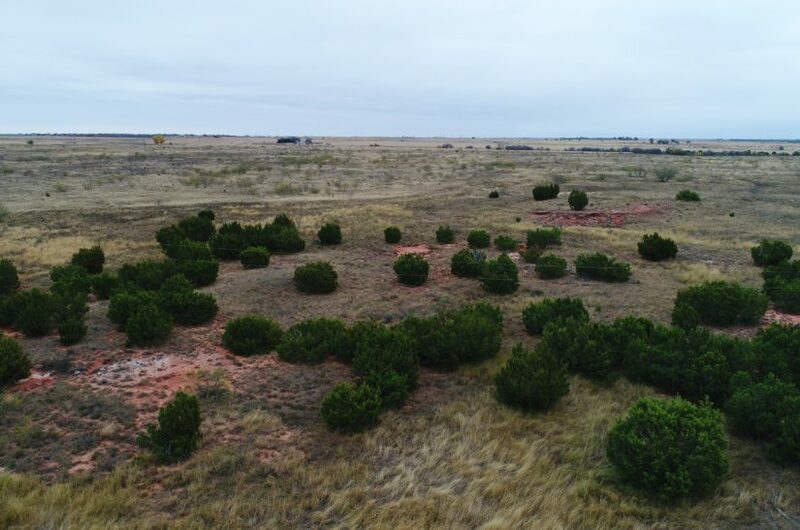 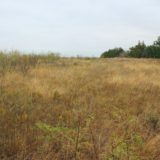 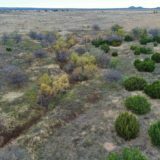 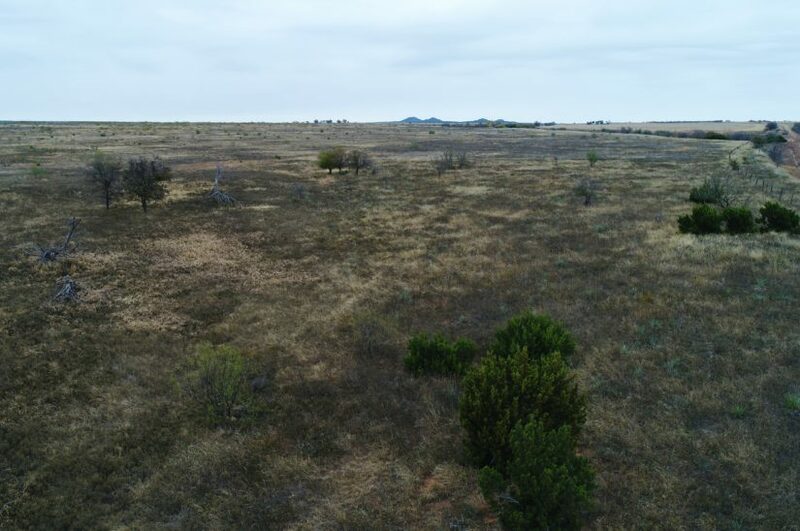 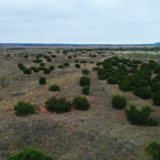 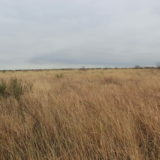 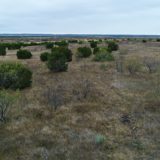 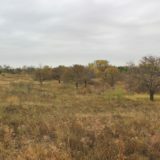 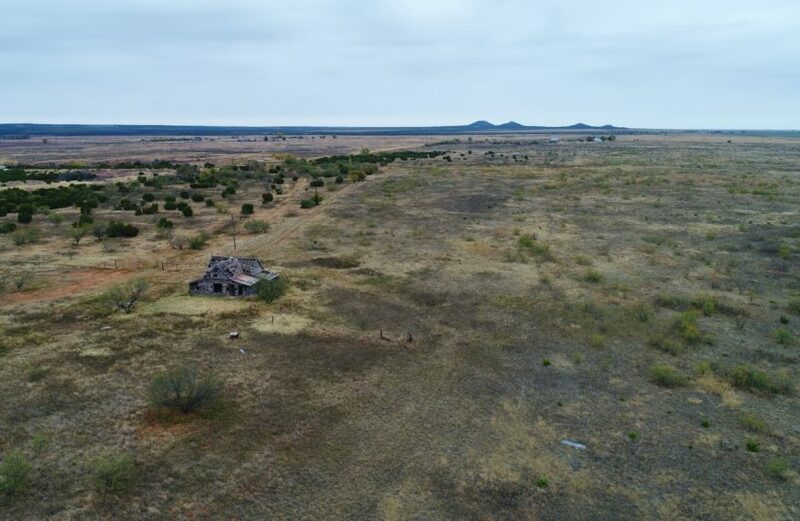 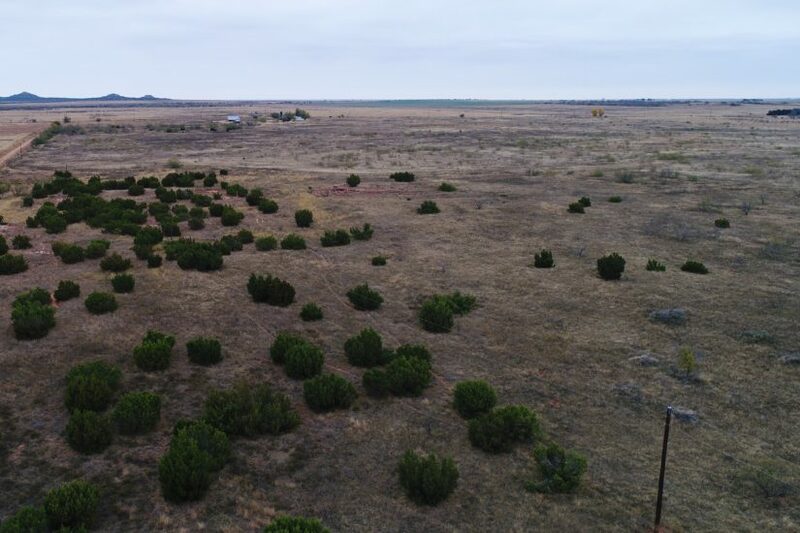 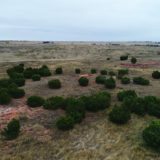 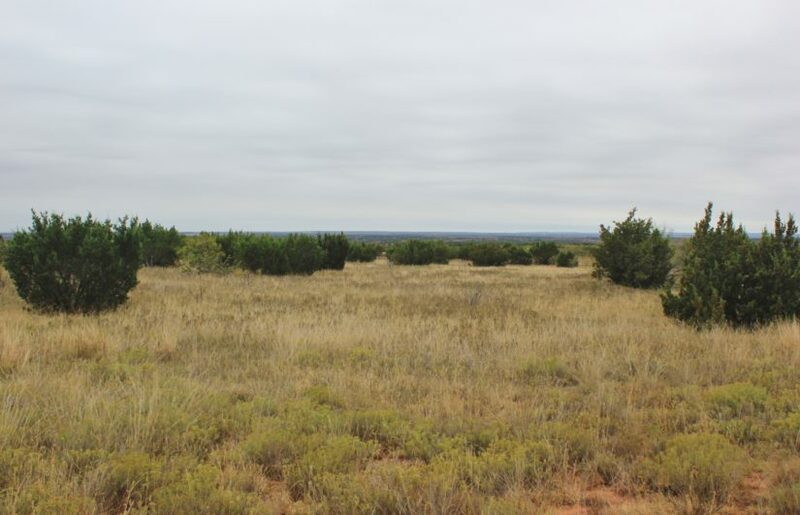 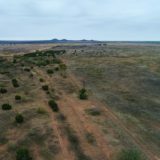 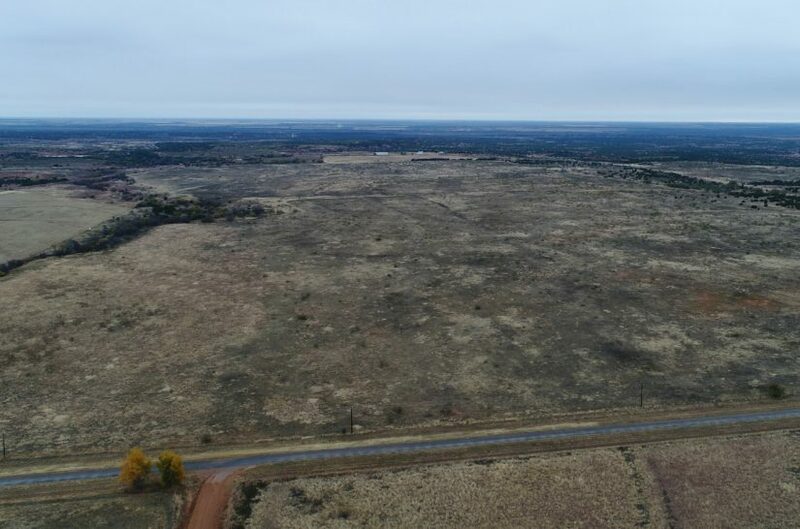 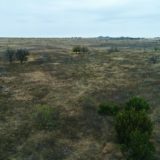 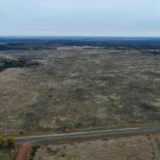 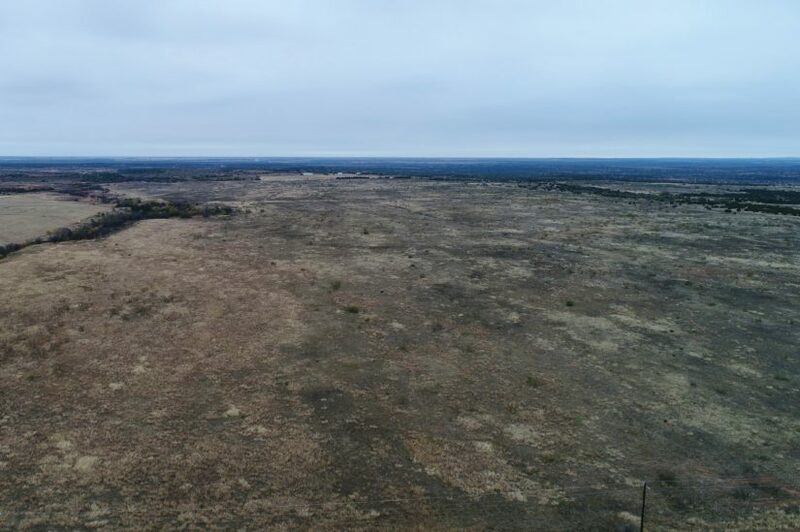 This is great opportunity to buy a piece of Texas history, undeveloped and ready for your personal vision, whether it be hunting or running cattle! 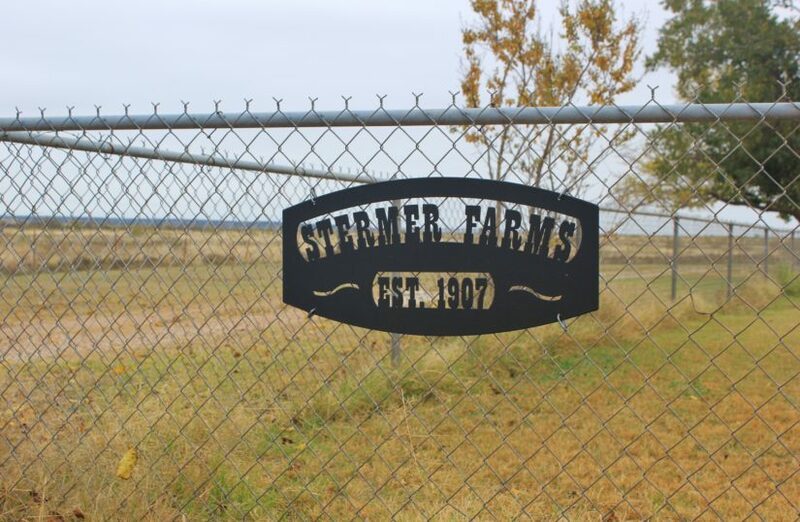 To tour the Stermer Ranch, call agent Benjamin Belew at cell phone (940) 357-9940.